Chia is a member of the Mint Family. The plant grows to 20 inches in height and has green, oblong leaves that grow to 4 inches in length and, like other members of the mint family, square stalks. 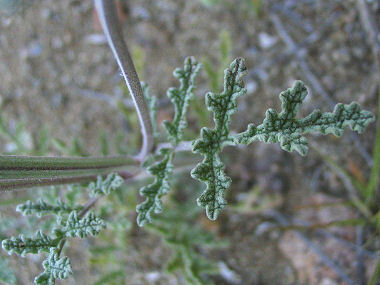 The plant typically grows in sandy washes and on desert slopes at elevations below 3500 feet. Though a member of the Mint Family, Chia smells skunky. 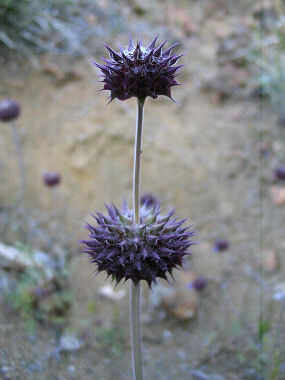 Chia blooms between March - May and produces blue flowers to 0.5 inches in length that form in rounded clusters at the end of a stalk.